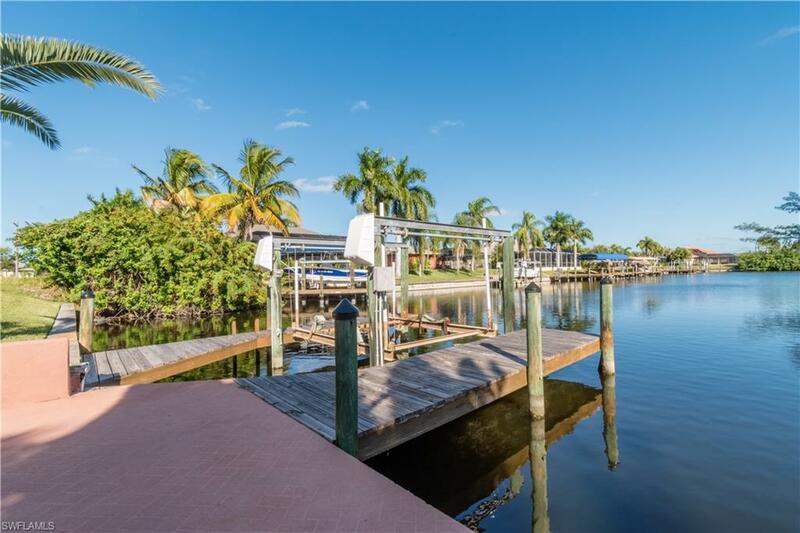 Spectacular long water views! Remodeled over $300,000. 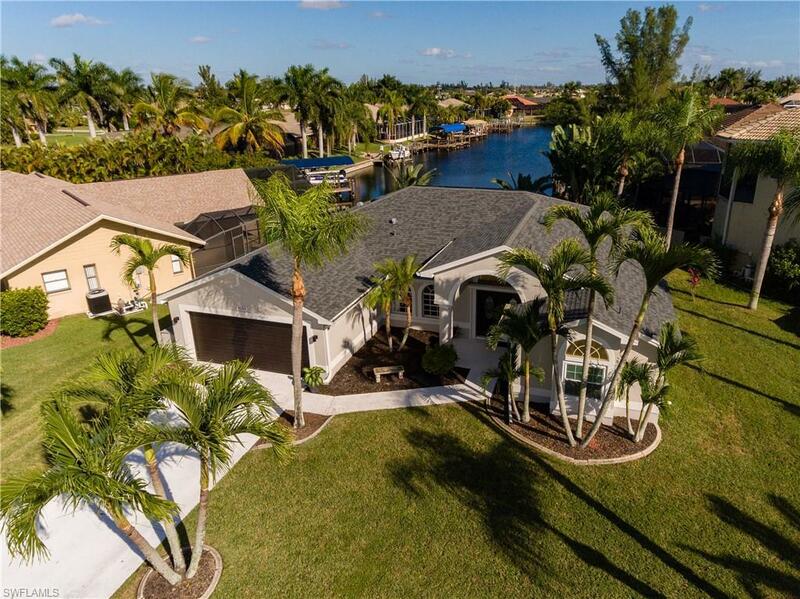 This SW Cape "gulf-access" easy-out waterfront home has it all. 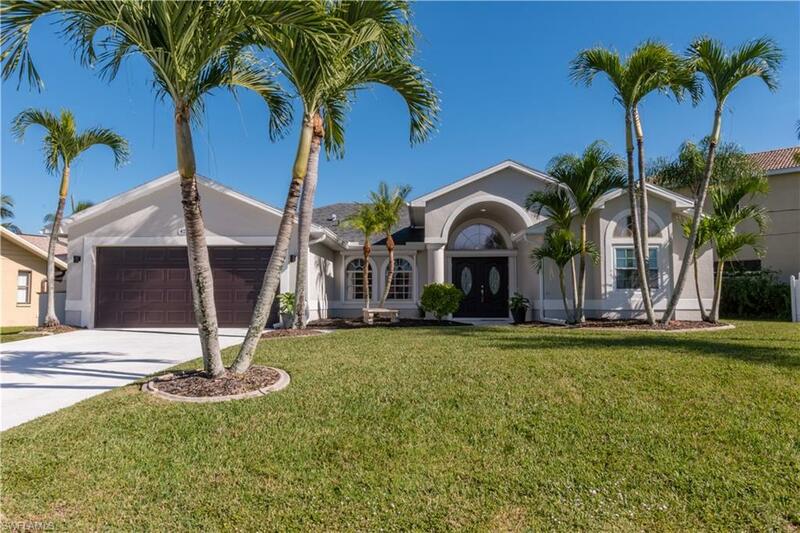 Open floor plan 3 bedroom, 2 bathroom, 2 car garage pool home has great "curb appeal" & is like "brand new" inside & out! High vaulted ceilings & lots of glass windows & sliders make this home light - bright - sunny. Tile floors in kitchen, living, dining & bathrooms & all wood flooring in bedrooms. 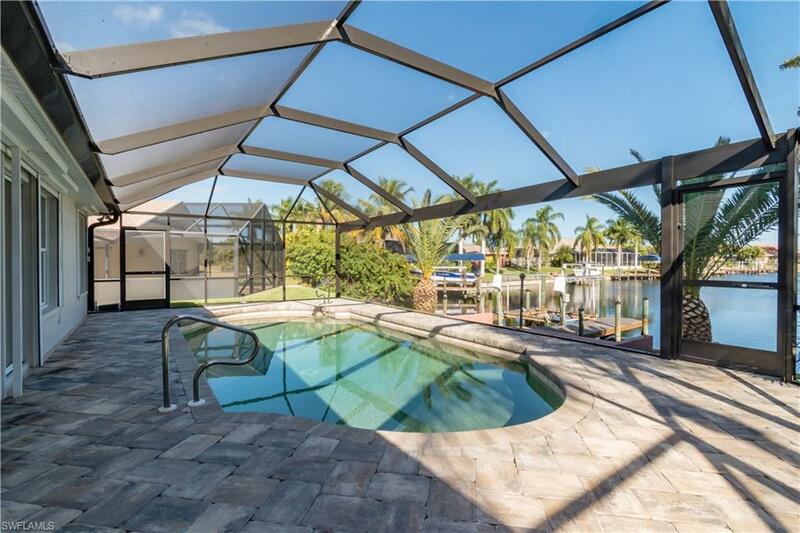 Home has new roof, paver lanai, paver pool deck & "new" screen enclosure for full water views. "No blocked views". Pool has complete new "pebblecreek" finish. All closets have custom wood organizers. Kitchen is a "chefs" delight with lots of cabinets & large granite countertops. Master bath remodeled w/all marble walls, countertops, & gas fireplace in family room. Oversized garage w/workshop for hobby enthusiast, built-in closets, pneumatic compression pump & a dedicated 220 line w/outdoor secured storage area for a generator. Electric steel roll down shutters (over $75,000) for total protection and at just a click of switch. Dock has all new wood decking and comes with 7000lb lift. Purchase includes 1 year home warranty for total buyer comfort.